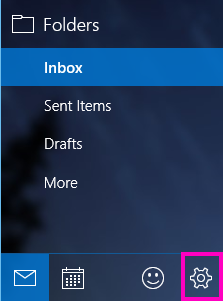 When you set up your email accounts in the Mail app for Windows 10, all of your messages are grouped by conversation, which means messages with the same subject are grouped together. If you want to turn off this automatic grouping, use the following steps. At the bottom of the left navigation bar, choose Settings . Note: On a phone or tablet, choose the three dots at the bottom of the page to access Settings. 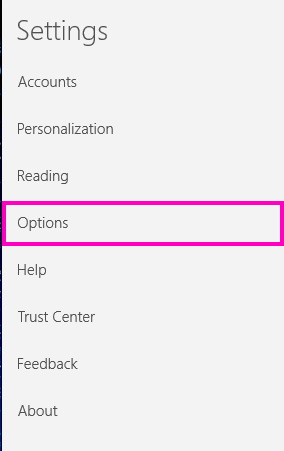 On the Settings pane, choose Reading. Under View Settings, use the slider under Show messages arranged by conversation to turn off conversation view. To learn more about Mail for Windows 10, see Mail and Calendar for Windows 10 FAQ.